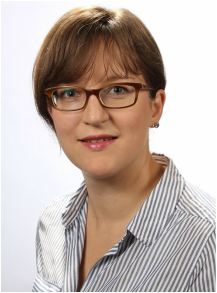 My name is Natascha Wagner and I am associate professor of Development Economics at the International Institute of Social Studies (ISS) of Erasmus University Rotterdam (EUR). My research interests lie in quantitative methods and evaluations of social programs and phenomena. I apply the econometric toolkit to questions arising in international economics, development and health. I consider my research area as an integral input in any modern social science research/education program. Issues of and obstacles to development are far from understood and need further analysis. In 2016, I won the Dudley Seers Memorial Prize awarded by the Journal of Development Studies for the best paper in every volume. The prize is a recognition of my work on female genital cutting for the paper "Female genital cutting and long-term health consequences -- Nationally representative estimates across 13 countries". I have participated in various impact evaluation projects in Africa and Asia ranging from the assessment of public health programs to rural infrastructure programs. In my research, I apply quantitative microeconomic methods to interdisciplinary questions such as for example the impact of polygamous household organization on child health, the economic consequences of female genital cutting (FGC) and the link between bride price payments and fertility decisions. In addition to the wide range of topics my research touches upon (poverty dynamics, networks, child health, HIV/AIDS, household organization, etc. ), I also employ various econometric techniques in order to adequately exploit the different datasets; these techniques range from 2SLS to GMM, including conditional logistic regressions, synthetic control, quantile estimations and an application of the Mundlak procedure to name just some prominent examples. More information about my research, publications and working papers can be found here. My research is based on and motivated by field experience. I gained valuable experience in countries as diverse as Senegal, the Philippines, Burkina Faso, Uganda, Tanzania, Côte d'Ivoire and Bangladesh. In Côte d'Ivoire, for example, I supported the Projet d'urgence Multisectoriel de Lutte contre le Sida (PUMLS) with the implementation of a HIV prevention project and an accompanying impact evaluation. I also oversaw several projects in Senegal and got to know this country as well: I repeatedly worked with the Conseil National de Lutte contre le Sida (CNLS) under the auspices of the World Bank. I was also involved in an impact evaluation for the United Nations Development Programme (UNDP). The project concerned a rural infrastructure program that aims at providing electricity for villages that are not connected to any electrical grid. The multifunctional platforms that are installed in the course of the intervention are big motors that transform diesel into electric energy. The project is financed by the Gates Foundation. Currently, I work on the impact assessment of the long-term effects of quality improvements in Philippine public hospitals. To this end I visited the Philippines in early 2013 and set up a long-term follow-up survey with my local colleague Stella Quimbo. Moreover, I conduct a randomized control trail in Burkina Faso. Financed by 3ie, the study seeks to assess the impact of SMS reminders to promote retention and adherence in HIV/AIDS care. In addition, I work on a good governance study about Ugandan police and decentralization efforts. Together with a team from ISS I am also carrying out two impact evaluations in the Peruvian and Ecuadorian Amazon to assess environmental monitoring. I believe that nowadays challenges for developing countries and the rest of the world are not only diverse and complex but also need adequate responses in terms of policy and intervention. Here, research can be a means of informing policy makers and practitioners. Therefore, I aim at not only disseminating my research among the academic community but also sharing it with international organizations and other development professionals, who I partner with for joint projects and interact with during conferences and meetings. My work in academia allows me to create new knowledge and to share my insights and experiences in the courses I teach. At the Institute of Social Studies, I teach econometrics and development microeconomics. The course "Regression and Data Analysis" is geared towards social sciences' and economics' students who wish to improve their skills in data analysis. It is an introductory course at the Master level. When teaching econometrics, I draw on my own experience in econometric modeling and data cleaning. In microeconomics ("Foundations of Economic Development"), I focus on development microeconomics. This course aims at providing the theoretical foundations and tests thereof to better understand the development issues in poor countries. Economic analysis is applied to understand the behavior of rural households, intra-household resource allocation and technology adoption. Risk and coping mechanisms are discussed as well as human capital development processes such as ‘learning by doing’ and ‘learning from others’. Moreover, I discuss access to credit, capital market imperfections, investment and productivity of small business. Last but not least this course also addresses the role of institutions and the economics of corruption. Current research in development microeconomics blends theoretical models and empirical application. Accordingly, my teaching draws on both types of work. I started teaching in the first year of my graduate studies. I taught review sessions in microeconomics and statistics (undergraduate level) at the Eberhard-Karls-Universität Tübingen. During my doctoral studies at the Graduate Institute, Geneva, I have worked as a teaching assistant for courses on impact evaluation and development economics (graduate level). More information about my teaching can be found here. For the International Initiative for Impact Evaluation (3ie) I work as an external reviewer of evaluation projects. I review impact evaluation designs according to their feasibility, academic rigor, policy relevance and cost effectiveness. My alma mater is the Graduate Institute of International and Development Studies in Geneva, Switzerland. At the Graduate Institute I carried out my doctoral research under the supervision of Jean-Louis Arcand. For more detailed information, please have a look at my ﻿CV﻿.